In the near future, humanity has been granted cheap energy in the form of the Shizuma Drive. This has ushered in a new era of prosperity known as Third Energy Revolution. Behind the scenes, a struggle between Good and Evil still goes on as personified by the International Police Organization and Big Fire. 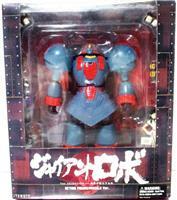 To aid in the struggle against evil, the IPO have a great robot known as Giant Robo. 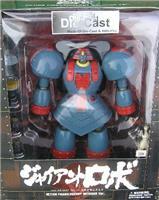 A young boy named Kusama Daisuku controls Giant Robo and there is some mystery behind him. Based on the old live-action "Giant Robo" series which was dubbed as "Johnny Sokko and his Giant Robot" in the US.